The market from residential application, is predicted to witness an annual installation of over 10 million units until 2025. The power optimiser market is set to grow from its current market value of more than $ 1 billion to over an annual installation of 30 million units by 2025, as reported in the latest study by Global Market Insights, Inc. Growing environmental measures along with strict government schemes to curb emissions have aligned industrial focus toward the adoption of efficient energy conservation technologies. Operational and regulatory amendments across key power markets favoured by ongoing technological developments associated with product efficiency, flexibility, and operations have positively influenced the industry dynamics. Henceforth, significant upgrades and variations in manufacturing practices in line with cost-competitiveness will augment the overall power optimiser market scenario. Stand-alone units in the current industrial regime, have primarily been influenced by the increase in demand for energy across regions observing complete isolation or limited grid access. The development of micro-grid infrastructure for large-scale renewable adoption has integrated a favourable industry scenario across the developed nations. Moreover, advanced distributed power generation technologies coupled with the ongoing development of sustainable electric infrastructure will further complement the power optimiser market size. Stringent government measures subject to the capping of incentives and FiTs had obstructed solar installations across the European nations. However, regulators have continuously been focused towards distributed energy storage systems besides photovoltaic (PV) units through the provision of investment grants. The European Commission have imposed similar legislative schemes with an aim to favor the integration of sustainable technologies which will further drive the market growth. Buck converters are anticipated to exceed $ 900 million by 2025. Buck units are DC-to-DC converters that step-down voltage levels from input to output. A switched-mode power supply technology containing one energy storage element, two semiconductors (transistor and diode, although new age converters usually replace diode with other transistor, for synchronous modification) and a capacitor, an inductor or the combination of two. Leading manufacturers with technological expertise and R&D capabilities have continuously been investing to upscale product performances which in turn will have the power optimiser market share. Optimisers have emerged in the power industry as a substitute for module level power monitoring and management, coagulating the benefits of MPPT with higher operational efficiencies of string inverters. In addition, features including module mismatch resonance, alleviation of module shading impact and over or under performing modules will strengthen the overall market potential. Power optimiser market from residential application, is predicted to witness an annual installation of over 10 million units until 2025. Government subsidies, FiT’s, and net metering positively influenced by the integration and manufacture of advance optimiser solutions will further stimulate the product penetration. Furthermore, government rollout plans and schemes including incremental energy efficiency grant to support residential rooftop installations will further complement the business outlook. 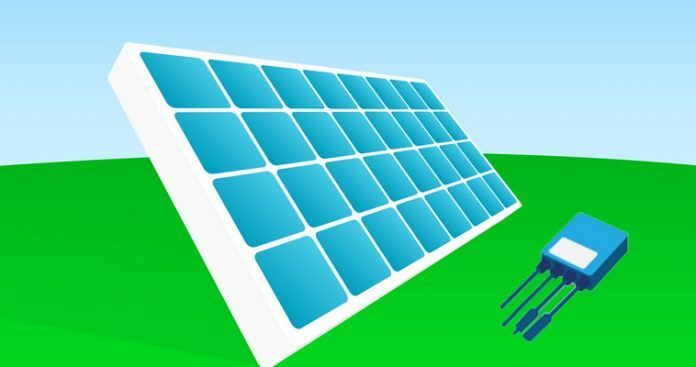 Eminent market participants include SMA Solar, SolarEdge, Altenergy, Tigo, Ampt, Huawei, igrenEnergi, Kuby Renewable Energy, Maxim Integrated, Darfon Electronics, GreenBrilliance, Texas Instruments, Mornsun, Xandex, Alencon, ABB, Ferroamp and Fronious.